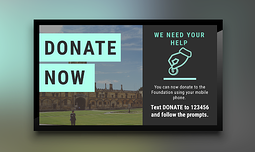 Earlier this month we released our digital signage Template Library - a convenient collection of engaging templates for your digital signage needs. 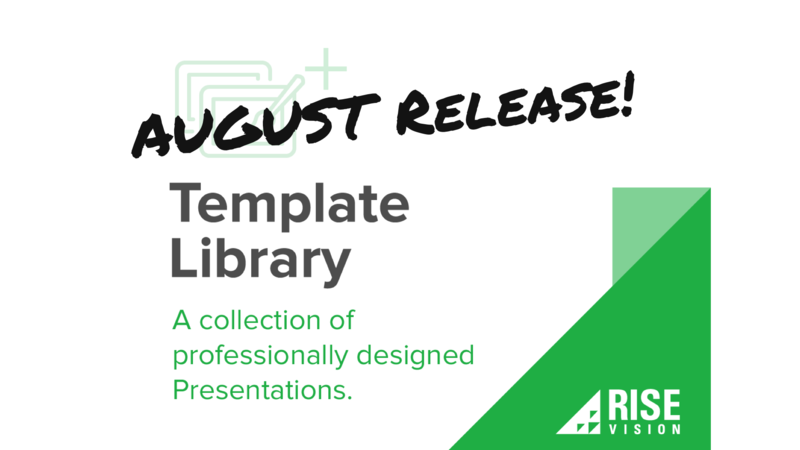 Our new August Templates have just been added! If you have already subscribed to the Template Library, you can now access these through our Store. What is the Template Library? The Template Library is collection of Templates that have been designed and built by our Creative Team. It’s an easy way to have fresh and engaging content so that you get the most out of your investment in digital signage. Each template can easily be customized by you, yes YOU, to show off your branding, colors, and your own unique needs. 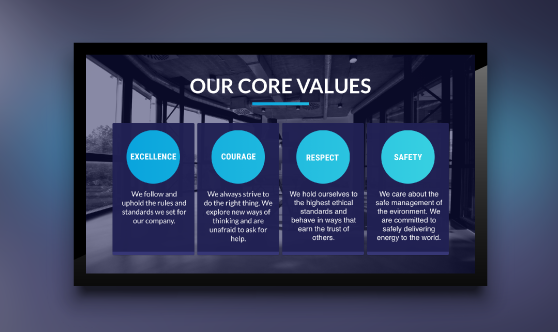 The Template Library gives you exactly what you need to quickly get your digital signage up and running, and looking great. As a part of the Template Library subscription, we promised a monthly release of fresh new templates. So without further ado… August’s templates are now available! These templates have been released to the Store and they are some of the best ones yet! 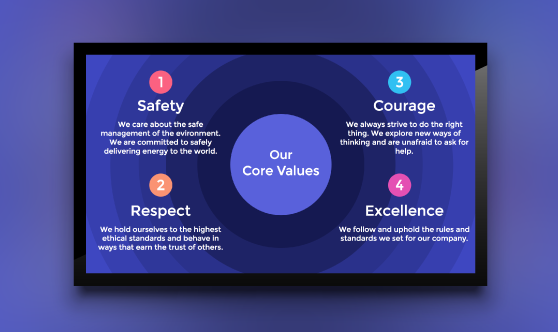 This set includes even more engaging animations and more relevant and convenient layouts for your needs. 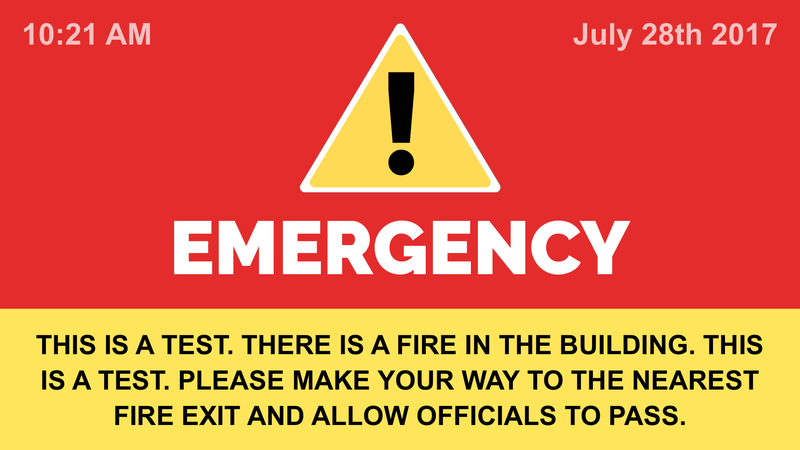 In this release of templates you can find two different Company Value templates, an Emergency Alert template, two Donation templates, and two timely Labor Day templates! We recommend checking out this convenient selection of templates and trying them out on your own display. For ideas and a basic overview of how to use these fresh new templates, watch the video below. Not Already Subscribed to the Template Library? This video gives a quick overview of what’s included and this video shows how you can customize the templates to fit your needs. As always, we would love to hear your feedback so let us know what you think of this month’s release in the comments. Looking for a specific template but can’t find one that meets your needs? We’re open to suggestion so just let us know what you’re looking for and maybe you’ll find it in next month’s release. Want to Try the Template Library Out?